Ukhrul, May 21 2013: Cultural items, displays of Tangkhul traditional cuisines and attires, flower show, painting competition and entertainment programmes marked the district level Shirui Lily Week-2013 concluding day today at Shirui village under Ukhrul district, Manipur. Shirui Lily, first discovered by the British in 1946 as the lily that is found only at Shirui village, has become the State flower of Manipur. 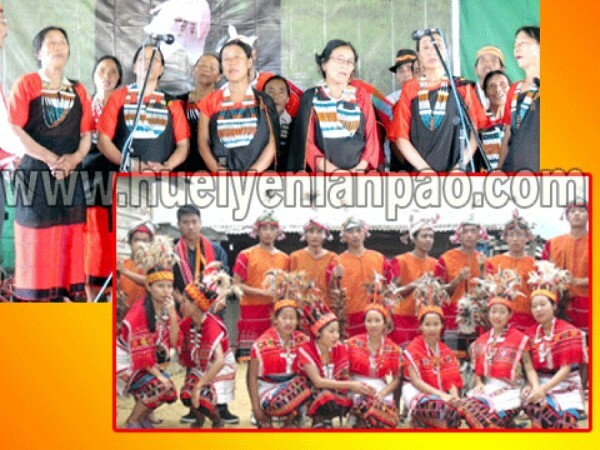 During the Shirui Lily Week-2013 concluding today, the denizens of Ukhrul district with traditional attires conglomerated at Shirui village which is situated some 15 km east of Ukhrul town and joined the celebration. Young and old, kings and paupers, strong and weak were united in the spirit of protecting and conserving the rare Shirui Lily found only in Shirui village of Ukhrul. Traditionally, locally brewed beer was enjoyed marking an end to the week-long celebration. Cut to modern days, the celebration has been laced with festoons and fanfare with the showcasing of tradition within the modern context. The Shirui Lily Week celebration is in this sense, a link between the gaping hole of tradition and modernity. For the people of Ukhrul district, it is a time to retrospect about the past and look forward to the future with optimistic zeal. Diaspora of Tangkhul community takes time out to reunite with their roots despite the mad search for global identity. For those unable to make a connection to their forefathers' blood-drench soil of Manipur, they still make an effort by organising a district level Shirui Lily Week celebration in heart. Billed as one of the most important celebrations, the event was celebrated presenting rich traditional dance and songs organized by the people of Ukhrul. It was celebrated at Shirui village with much fanfare and it brought huge people from across the district including far flung areas. The time falls in the middle of May every year. It is one of the most anticipated times in the annual calendar for the people of Ukhrul and elsewhere. One of the few occasions, Shirui Lily festival symbolises happiness and health, hard work and toil, peace and brotherhood, abundance and hope.